Congrats! You took the time to find your dream home, closed the deal, and now you’re ready to start your new life in your brand new, happy home. As you look around at the clothes, furniture, and memories you’ll need to pack up, it’s understandable you may feel a little overwhelmed. But moving to a new home can be the perfect opportunity to share memories, reorganize, and prepare for your future. And we’re here to assist you in making the most of moving day – maybe even add a little fun. So how do you do it? We’re so glad you asked. First thing on your list – decide how you want to move your things. Will you hire a moving company or will you enlist the help of your very kind family and friends? If you want to hire a moving company, do your research. Visit each company’s website, check out reviews, get quotes, and compare. Whatever company you choose, make sure it is insured. Once you decide how you’ll move, pick a date and get it scheduled. If you want friends to help, give them enough notice to get it on their calendars. We recommend at least a month. Turn it into an event and send out invites. Offer pizza, snacks, and beverages. Get creative and give it a theme or hold a contest. Whoever moves the most boxes wins a gift card. Moving expenses can easily get out of hand if you don’t create a budget and stick to it. So write out all of your expenses (moving truck, packing supplies, etc.) and how much you plan to spend on each. When reviewing your budget keep in mind there are great ways to get free supplies, like packing boxes. Used book stores, thrift shops, and supermarkets are always looking to get empty boxes off their hands. Help them out and save some money. With one month left until moving day, it’s time to pack your things. As you go through each item to pack, get rid of anything that has never been opened or is collecting dust. These items are just taking up space. Don’t let them take up space in your new home. For items you do use, hold each one and see if it “sparks joy,” a new practice brought to light by Marie Kondo, the queen of tidying up. If the item no longer brings you happiness, it’s time to let it go. Do this as you go room to room, placing your items in one of three piles: trash, donate/sell, or keep. Fill smaller boxes with heavy items – they’re more sturdy and easier to carry. Save bigger boxes for lighter items like towels, bedding, and pillows. Put cords and hardware in plastic bags and tape them to the items they belong to. You don’t want to be playing a guessing game when you’re trying to reassemble multiple pieces of furniture and electronics. Before sealing the box, take a picture of the inside and tape it to the outside. That way, you’ll be able to see inside of each box without having to open it. Magictastic. The better your logistics, the less time you’ll waste trying to figure out what box belongs in which room. Save time and energy by creating a labeling system that works for you. We recommend assigning a color to each room and marking each box and piece of furniture with the corresponding color. Save even more time by creating a color key with the floor plan of your new home. There’s a good chance you won’t have everything unpacked on the first day – or even the first week. Make a list of what you’ll need on moving day and during the first week at your new home and set those items aside. You’ll want to pack them separately and make them easily accessible. Items to include here are petty cash, bottled water, cleaning supplies, bedding, a roll of toilet paper, toiletries, and a week’s worth of clothes. You’ll also want to make sure you have some food for your pet. Do you want to pay for someone else’s utilities? We didn’t think so. The week before the big move, get your utilities and cable transferred over to your new place and schedule a time to shut off your current ones. If possible, have your cable, alarm, and other services installed on or before moving day, when there isn’t furniture in the way. If you have items to sell, host a moving sale. Anything you don’t sell, donate and help #GrowHappiness. And speaking of donating your things, schedule a free donation pickup before your move, so you don’t end up taking anything with you to the new house. This is the last week in your home, so soak up those moments. Spend time with neighbors, visit your favorite local businesses, and take a walk around the block to appreciate the area one last time. Then, look forward to all of the new discoveries you’ll make in your new neighborhood. Finally, do a final walkthrough of your new home if you can. 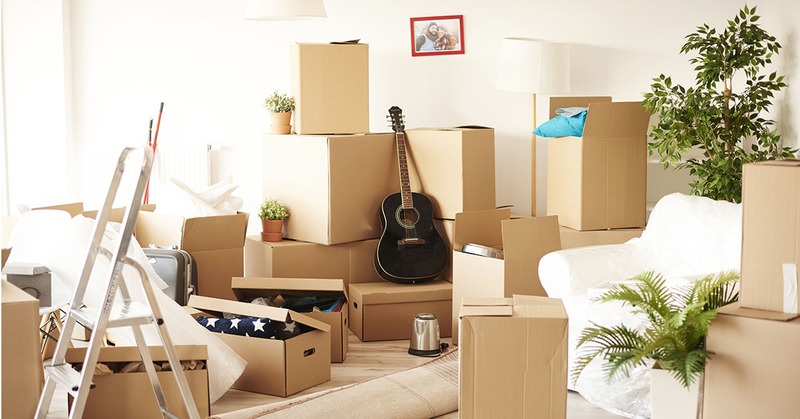 Picture where your things will go, plan out decorations, and prep for your move. Place post-it notes to mark where you want your boxes to go, lay down cardboard to protect your floors, and check the home for any damage the previous owners may have caused when they moved out. You did it! The finish line is in sight. You’re all packed and organized, the moving truck is here, and you’re ready to start your new adventure. Most likely, you’ll go through all the emotions of moving day – from excitement to uncertainty, nostalgia to Blissarama. It’s a bittersweet day; take time amidst the chaos to pause and take it all in. Appreciate your former home and the memories you have there. Don’t let stress dominate the experience. You’ve prepared for this day for some time, and now it’s time to make the most of it. If you have small children or pets, find a babysitter to watch them for the day. 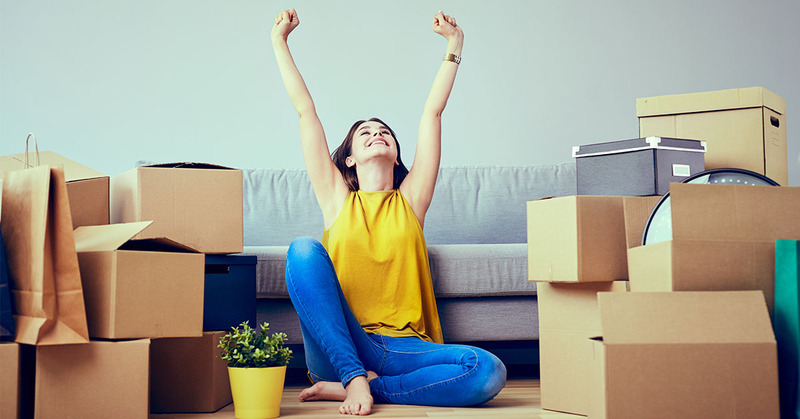 With all the chaos of moving boxes and furniture added to the anxiety that can come with leaving something familiar, taking them out of the situation for the day can reduce stress for you and them. Once your movers arrive, huddle up before the moving gets started. Provide a plan of attack, explain your labeling system, answer any questions, and give everyone your new address and cell phone number. As you move boxes and furniture into the moving truck, keep an inventory. That way, if you notice something missing, you’ll know the first place to look. 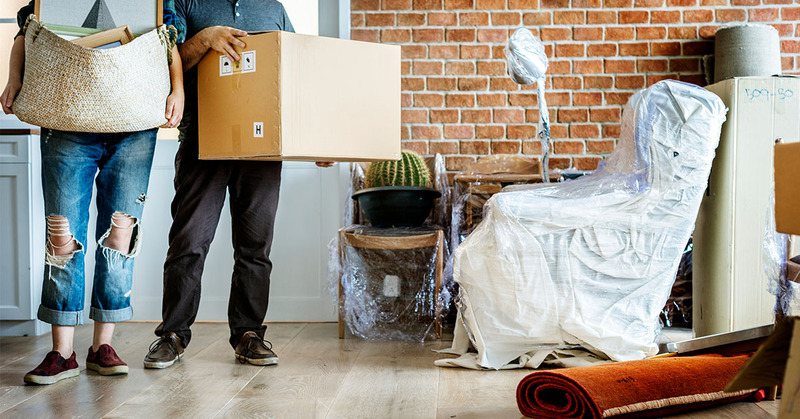 We know packing a moving truck will be something like a life-size game of Tetris; but try to keep your boxes and furniture grouped together by room. If you have kids, unpack their rooms first. Moving can be a big change for them. Provide comfort to them by creating a space that feels familiar. Have them join the fun of creating their own, new space. Welcome home! Let the fun begin. Take some time this week to check out your new neighborhood. Now that the pressure is off, you’ll notice more amenities and delightful quirks. Find new restaurants, locate the nearest grocery store and pharmacy, and find hidden gems. As you enjoy your new place, don’t forget to take care of such necessary tasks as updating your address on your voter registration card, license, and pet’s collar. Make copies of your keys and give a spare to someone you trust. Unless you’re hiding from your friends and family, send out an announcement to let people know you’ve moved! We’re here to make sure you enjoy your homeownership experience – from one moving day to the next. For even more ways to take care of your happy home, read more tips from our Happy Hub. Join 25,000 home-obsessed readers on our mailing list.